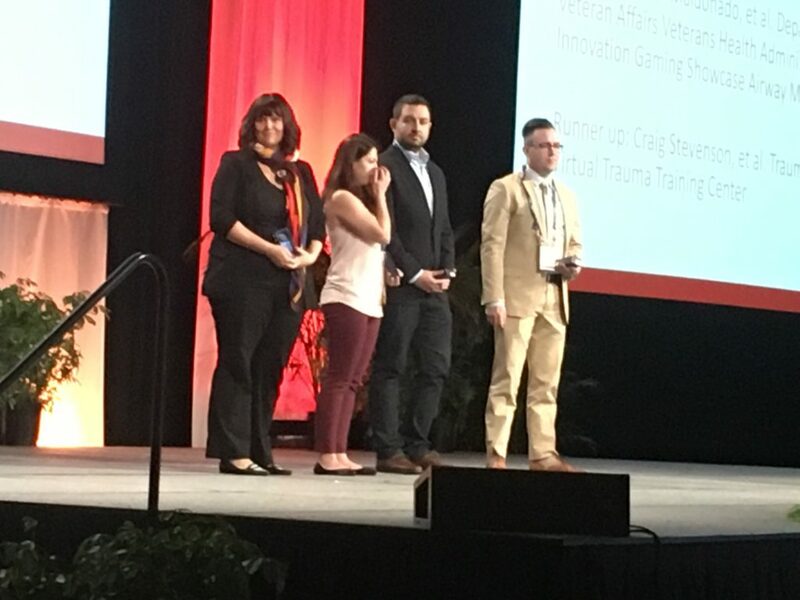 Conquer Mobile was awarded ‘Best in Show” at the International Meeting on Simulation in Healthcare (IMSH) Serious Games and Virtual Environments Showcase in Orlando. The company won the small company / entrepreneurial award for its PeriopSim Virtual Reality training for OR nurses. Vancouver, BC (PRWEB) – February 7, 2017 – Conquer Mobile today announced that the company won a key award at IMSH, the leading event for the healthcare simulation industry, in Orlando last week. The IMSH Serious Games and Virtual Environments Showcase brought together 33 participants demonstrating innovative simulation training solutions for healthcare. A judging panel from the Society for Simulation in Healthcare (SSH) made awards in 4 categories: large company, small/entrepreneurial company, researcher and student. Conquer Mobile won the entrepreneurial award for its PeriopSim VR instrument training for OR nurses.